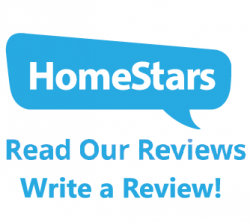 Letters from Customers | Enrico's Electrical Co.
and your home are in good hands! Enrico came out and upgraded a lot of the service in our home, short of rewiring. Our house is over 60 years old and the electrical service looked never to have been upgraded in all that time. They upgraded the electrical service panel on the side of the house, replaced the clevis, installed new outlets for our stove and dishwasher, replaced our fuse box with a modern breaker panel, installed surge protection, grounded our home at the panel, replaced a number of plugs and light switches. It was a big job that took two days. Throughout, Enrico and his team were professional, arrived early, and worked hard. On his inspection, Enrico even found a false ground wire in one of our bedroom outlets. The work was thorough and we are happy. It has been about 3 months now since Enrico and his team came out and there have been no problems. We highly recommend them. Enrico is true professional. He does meticulous work and communicates the full scope of the job to be done. He has worked on my home on 3 different occasions and is extremely polite, thoughtful in his work and appears to be a very good teacher. These guys offer great results and peace of mind! Enrico was just a straight up nice guy, but more importantly clearly a safety focused experienced electrician. He arrived at the top end of his window. Enrico identified multiple possibilities before inspecting so we had a sense of best and worst case scenarios. His inspection of the situation was detailed and he really thought things through. After he had a strong understanding of the problem and possible causes he presented our choices. I loved the pricing and I had a clear sense of the high and low end of the problem we were having. I will call them back in the future and would recommend them to co-workers friends and family. Enrico came to the rescue! Enrico is an honourable, qualified and skilled electrician who offers excellent advice. He always shows up on time and provides quality service! I am very pleased. Enrico was very knowledgeable and helpful. He explained and showed us the problems before he fixed them and thoroughly checked our home for other problems. Patiently answered our questions and listened to our concerns and made suggestions. I feel like our house is safe again and all because of Enrico.